MiamiBeachProm: Miami's Hot Prom & Oscar Dresses; South Beach's Hot Bikini, Wedding Shops! Welcome to South Beach, Miami Beach Prom & Bikini Shops! See and Get Seen in Miami & South Beach! Miami, South Beach, Fort Lauderdale, and even Daytona are the places to see hot bodies and get seen. People pay attention to their fashion and style. With all the miles of beaches, swimwear, bikini, tankini, tanga are a huge business here. Oprah's Winfrey's Favorite Bra: Bras and Bikinis are huge businesses in Miami, South Florida and South Beach! Let's Play "Who will be the winner Among MTV Video Music Award Nominations?" The names are now familiar. So are the tunes and videos we have been watching in our living room for many months now. Well, let's say with teenagers, we, parents are sometimes forced to watch them despite the fact we may frown on them. 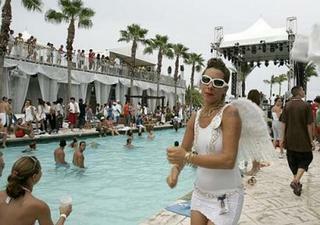 This year, MTV awards show will be beamed off the laser-laden, fireworks-planned water of Miami Beach. Are we going to have a repeat of the 2003 show that featured the now infamous Madonna-Britney Spears kiss? Get ready for more with P. Diddy or Sean Combs. It's a matter of excited wait and see. MTV Video Music awards organizers are known to outdo themselves every year. Since it's going to be in the hot waters of Miami Beach, get ready to watch the display of material possessions such as luxury yachts and hot wheels. What else won't we expect from the likes of P. Diddy? By the way, he will host the August 28 awards show. Already, his neighbor, Rosie O'Donnell (rblog or rosie.com) has started complaining about all the fireworks and noise created by his parties that sent her children and dogs respectively crying, barking and both searching for cover. Noise pollution! She reportedly shares backyard open space with the rap mogul, fashion designer and producer. Do you wonder how huge these two people's backyards may be to accommodate fireworks? The Insider and Access Hollywood reporters have reported the complaints on their weekly shows. Let's get back to our topic. Who gets nominated and who gets the chance of winning? So far, Green Day leads the nominations with 8 nominations. Stefani and Missy Elliott have six. U2 has five nominations. 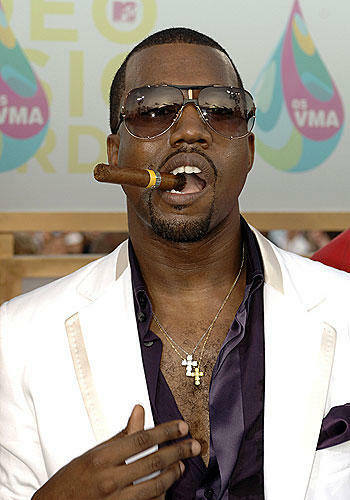 Kanye West and Kelly Clarkson are some of the scheduled performers. Linkin Park will present a new piece. No matter what, Green Day has scored huge with its six nominations for "Boulevard of Broken Dreams" and two for "American Idiot." It's our predictions that they will continue to score hugely on August 28. P. Dilly plans to tell participants to bare it all if they choose to, but the MTVA will also be the occasion to show the best swimwear and bikini designers. One way or the other, it's going to come down to fashion, even the skimpiest one. Predicted Winner: Green Day, "Boulevard of Broken Dreams"
All Nominees: Coldplay, "Speed of Sound"; Kanye West, "Jesus Walks"; Snoop Dogg with Pharrell, "Drop it Like it's Hot"; Gwen Stefani, "Hollaback Girl." All Nominees: Kanye West, "Jesus Walks"; Beck, "E-Pro"; User, "Caught Up", John Legend, "Ordinary People." Predicted Winner: Shakira with Alejandro Sanz, "La Tortura"
All Nominees: Amerie, "1 Thing"; Mariah Carey, "We Belong Together"; Gwen Stefani, "Hollaback Girl"; Kelly Clarkson, "Since U Been Gone." Predicted Winner: Black Eyed Peas, "Don't Phunk with My Heart"
All Nominees: The Killers, "Mr. Brightside"; Destiny's Child with T.I. & Li Wayne, "Soldier"; U2, "Vertigo"; Green Day, "Boulevard of Broken Dreams." Predicted Winner: Eminem, "Just Lose It"
All Nominees: T.I., "U Don't Know Me"; The Game & 50 Cent, "Hate It or Love It"; Ying Yang Twins, "Wait (The Whisper Song)"; Ludacris, "Number One Spot." Predicted Winner: Usher and Alicia Keys, "My Boo." All Nominees: Alicia Keys, "Karma"; Mariah Carey, "We Belong Together"; Ciara with Ludacris, "Oh"; John Legend, "Ordinary People." All Nominees: Common, "Go"; Nas with Olu Dara, "Bridging The Gap"; Kanye West, "Jesus Walks"; Snoop Dogg with Pharrell, "Drop It Like It's Hot"; Missy Elliott with Ciara & Fat Man Scoop, "Lose Control." Predicted Winner: Ciara, "1, 2 Step." All Nominees: Shakira with Alejandro Sanz, "La Tortura"; Missy Elliott, Ciara and Fat Man Scoop, "Lose Control"; Destiny's Child, "Lose My Breath"; U2, "Vertigo"; Jennifer Lopez, "Get Right." All Nominees: Foo Fighters, "Best of You"; My Chemical Romance, "Helena"; Weezer, "Beverly Hills"; The Killers, "Mr. Brightside." Predicted Winner: Lindsey Lohan, "Rumors"
All Nominees: Ashlee Simpson, "Pieces of Me"; Kelly Clarkson, "Since U Been Gone"; Green Day, "Boulevard of Broken Dreams"; Jesse McCartney, "Beautiful Soul." Predicted Winner: Ciara, "1,2 Step"
All Nominees: The Killers, "Mr. Brightside"; The Game, "Dreams"; My Chemical Romance, "Helena"; John Legend, "Ordinary People." Predicted Winner: Gorillaz and Jamie Hewlett, "Feel Good Inc."
All Nominees: Eminem and Ian Inaba, "Mosh"; Sarah mcLachlan and Sophie Muller, "World On Fire"; U2 and Alex & Martin, "Vertigo"; Missy Elliott with Ciara & Fat man Scoop and Dave Meyers, "Lose Control." Get ready to watch the show. Please print this list or watch it on this site. Now let's compare the two lists to see whether our predictions come to pass. Here is the list of the winners check below to see our predictions of winners and losers at the MTV Music Video Awards. We are giving out only the winners here. Here's a hot evening dress that you can wear to the next MTV Award music video. Don't you think it's gorgeous? Check sky photo for more. Here's another hot two-piece bikini you'll see in Miami beach, Fort Lauderdale, South Padre or Daytonna Beach. 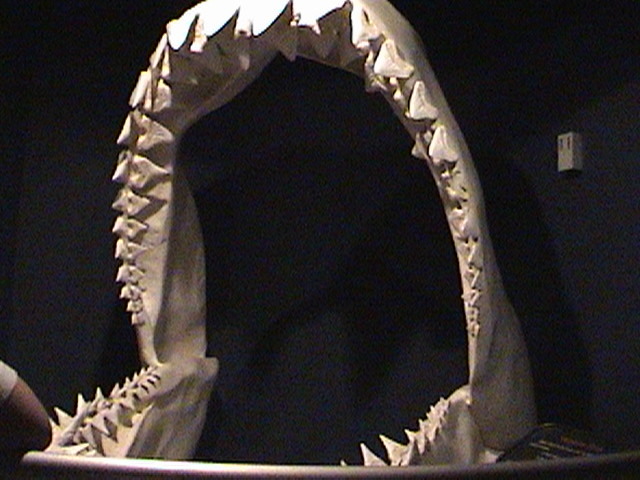 Jaws: The Season of Shark Attacks in Florida. The Summer of Shark Attacks: Watch out, South Beach, Miami or all Florida! The sharks are coming. Please be careful when enjoying the beach and the waters. Two attacks so far! One is fatal and the other one is serious. Please swim where a lifeguard is on post. Watch your surroundings. If you see lots of feeding activities around you, don't wait. Get out. 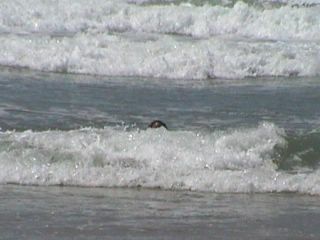 If you are between sandbars, then just know there could be some sharks lurking around. 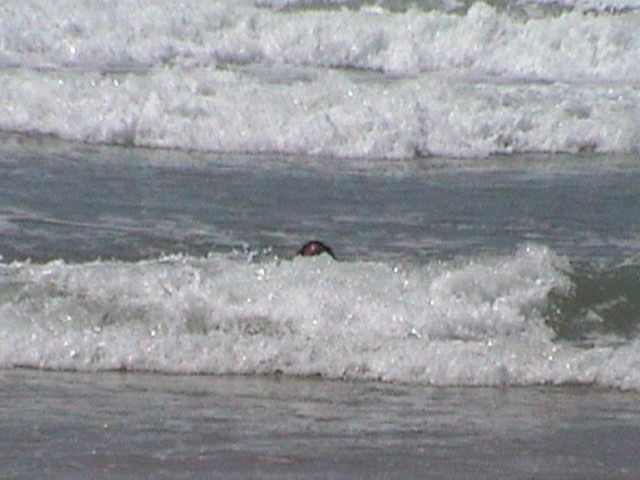 Sandbars are their feeding grounds. 2005 Prom Season Hairstyles: What's hot and what's not too hot! May, June and July are wedding months. Have you found your gown? 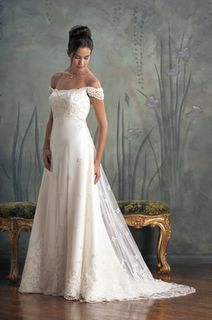 How about this lace, sating gown for your next wedding? Check out the eden collection. This mini faux suede g-string is all the rage now. With the right pair of white or black pants, it gets the job done. Great to have on a getaway. Great to sleep in too! This intimate can be found at intimo. Beach Volleyball or Beach soccer? Guys are more likely to wear this Euro brief. It has this great support. How about this lace g-string made in Italy? You can just slip it under the jeans. It's almost unnoticeable. I like wearing this g-string to set the mood of the day. For sure, you will most likely see it in South Beach boutiques, Nordstrom and other stores. If you shop online, Intimo carries it. List of most likely swimwear, bikinis to see on South Beach: This triangle top is very popular. It's a multifunctional piece. Si se puede, You can do it, girl! 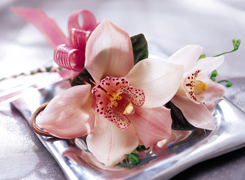 Order this corsage wristlet from your favorite store. 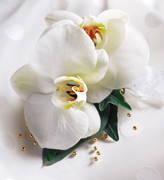 The dress beauty will be enhanced by this arrangement. 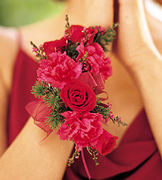 How about this nice prom corsage? 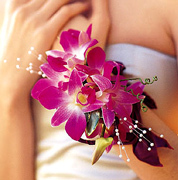 You can get the best of anything to enhance your proms. Miami Dade schools parents enjoy using this one. It must be a simple Life out there for these pets! "They are my children," she said. Ah! the battle of star pets is next to come! Which self-respecting star does not have a pet yet? Who said that American teens and adults are not fit? Go to your local mall and observe the thousands of walkers from all age group going up and down the malls and shopping centers of America! Teens specially walk to be seen. They walk to hang out. They walk to their favorite stores and Starbucks which are located at most malls. Most importantly, they walk to shop at stores such as Macy's, Fitch and Abercrombie, Banana Republic, GottsChalks, J.C. Penney, and Gap etc. Walking may a by-product for many of them. What's clear is that whenever you place a group of teenagers in one place, something will happen. Whether it's good or bad, something will be initiated. While most adults walk the malls and shopping centers of America for health reasons, teenagers' zeal for shopping may be the magnet. As soon as the main doors are open, they get in. They will find most stores' doors closed. That is not a deterrence to them. They just want to take advantage of the relative quietness of this huge enclosed space. They don't worry about security issues because most malls have their own security systems. They don't have to worry about umbrellas if it's raining outside. All they need is a pair of great sneakers, tennis shoes with good soles. Whether it's 112 degrees outside or 45 degrees, they are in a great controlled environment. No worry about too much sun exposure especially for those who are taking some medications with sun ray-caused side-effects. Some of the mall walkers are taking a class. For example, in Fresno, CA, the Manchester Mall Walkers is a class offered through Fresno Adult School from 6:30 to 7:30 am. Adults develop fitness and fellowship over time. Teens become better window shoppers and develop friendship. In San Francisco, you will find out that more and more people walk to their destination. Walking, shopping and eating are activities that are very common in the Bay Area. The good thing is that the cool breeze from the bay is very inviting. Tourists and residents of SF get out to the stores just to browse, shop and get a good exercise. For a long time, the Fig Garden Village shopping of Fresno used to attract a certain group of clientele. These consumers walk to all the boutiques. These days, anybody who has access to a ride can go to the new Riverpark Shopping center to walk. The layout and location of the stores compel the teens to walk from one store to the next. So if you don't have the heart to walk your neighborhood, you can blame your next shopping spree on your desire to walk your local malls. Ashley, Jasmine, and Cass are three teens who always get their parents to take them to Fresno's Fashion Fair to walk and shop. They join hordes of other teenagers and young adults who crowd the mall searching for the perfect prom and quincenera outfits. Graduation times bring lots of shopping teens and parents out to the local malls. 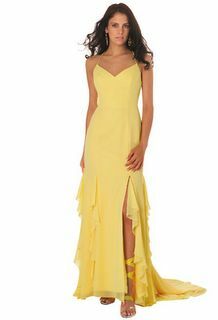 If they can't find the right quincenera dress, they will go to special boutiques. Or they may resort to some fashion catalogs. More importantly, allpromdresses.blogspot.com and quinceneradresses.blogspot.com may be their online guides too. What's in it for mall operators and store owners? Lots of money. Lots of visitors who can turn their furtive looks into revenue. All the more reasons for them to be right at your mall's main doors in the morning! Come April and May, kids who are shopping for their graduation ceremony gowns and/or dresses will take over the malls floors. Get ready to watch your steps. 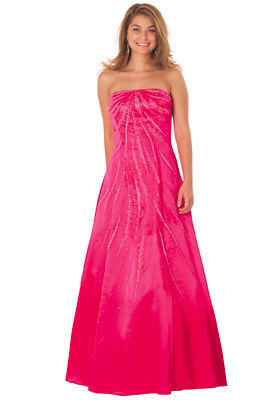 Are you looking for some prom and quincenera dresses? How about checking www.faviana.com. Britney a Fond: Britney's Deep. She knows how blend in with the crowd. Fashion for her is another way of selling her music. Univision.com is at a unique position to highlight the good attributes of the hispanic culture. Headquartered in Miami, Univision has been able to turn profits from its advertising department. The station covers issues that are important to the hispanic communities in the US and Latin America. Its bread and butter remain advertising with beautiful young ladies who could be any high fashion models. Pottermania: Pottermania Books, Shows, Games & Movie Reviews! Just In for All U.S. Prom Shops: ShopAllPromDresses is Live! Get Auto Recalls List: Cars and Home Product Recalls! FreeStuffRecycle: Get a Gift or something for Nothing! If you want to chat, go to QuinceneraProm Chat Times to find the link. "The Enchanted Garden of California's Wine Country"
Click on the cover to purchase a copy today! Got Anything To Advertise? Contact Us! Buy California's Fresh Fruits instead of Fast Foods! Copyright 2005. KC and Shopnowshop.com. Home Evaluation: Do you know the value of your home and properties? Santa Clara Real Estate: Retire Around Here! Panama City Area: Spring Break Capital! Texas' MLS Homes For Sale! San Diego's Hot Housing Market: Homes for Sale! Phoenix/Mesa Area Homes Are Hot: Want To Buy There? Do You Want to Purchase an Orange County, Imperial County Home? Think about the water-front, beach-front properties! Are you ready to settle in Mendocino, California? Merced Area Homes Are Going Fast Thanks to the New UC university: Great Investment! Riverside/San Bernardino County Homes for Sale! San Diego Area Real Estate Offers Great Advantages: Invest and buy homes! Find San Francisco Bay Area-Santa Clara/San Mateo Homes for sale! Ventural County Homes, Properties for sale! Get your dream home in the back country! Madison Area Homes for sale: Get a taste of this vibrant city life! Buy a home in the Seattle Area! Do You Want to buy homes in Dallas/Fort Worth Area? Are You Ready to Buy Your First Home? Your Vacation Home or a Cabin? and meet our financial obligations. Subscribe to add your Text Ad here! Free for the first day. Then $30.00 USD for each 3 weeks! We can write a feature on your business! Send Us Your 90-word Text Ad after paying here! is owned by the original author.